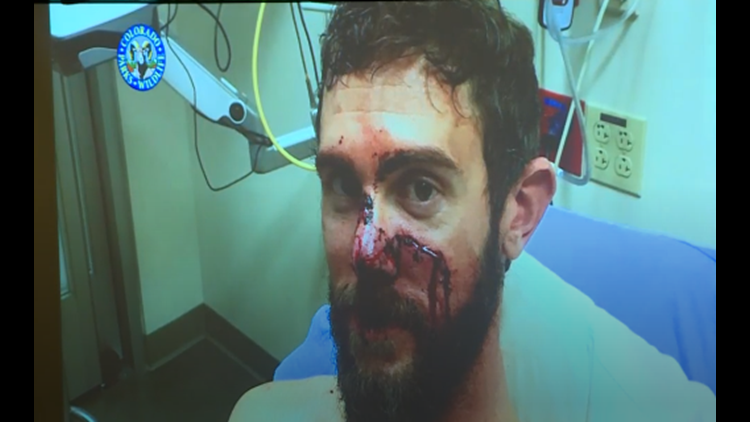 Colorado Parks and Wildlife said the man, identified on Thursday as 31-year-old Travis Kauffman, is "recovering well" after the self-defense attack on Feb. 4. FORT COLLINS, Colo. — The man who became an instant legend after fighting off a mountain lion with his bare hands (after running up one of the most notoriously steep stretches of trail in Fort Collins) began a news conference that will inevitably be seen around the world with a simple question. “By a show of hands, how many people are disappointed that I’m not Chuck Norris?” Travis Kauffman, a 31-year-old trail runner who lives in Fort Collins, said. Kauffman left for what he believed would be just another trail run in the foothills west of Fort Collins at noon on Feb. 4. He ran through the windy trails of Lory State Park, and up the challenging Towers Road. He was planning on summiting Horsetooth Rock, but as he was headed up the West Ridge Trail, he heard a twig snap. 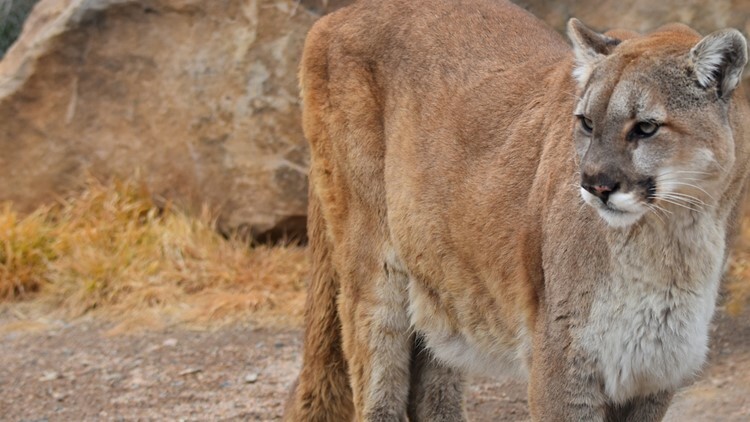 That’s when he found himself in a fight for his life with a 40-pound mountain lion. The animal scratched and clawed at him, leaving him with a gash on his face and puncture wounds that resulted in 20 stitches. He has a bandage on his arm from when the mountain lion latched onto his wrist. He ultimately was able to beat the animal with a rock, and stepped on its neck until it was unconscious. Kauffman said he then ran three miles to another trailhead. Another trail runner who had been headed in the opposite direction ran that last mile with him, and they met a couple who helped make sure he got to the hospital. His girlfriend, Annie Bierbower, said she was in a meeting when she got a call from an unknown number. That didn’t concern her, but she was a little worried when Kauffman called her again. When he said he was attacked by a mountain lion, she booked it to the hospital, where she saw his bloody shirt and hat. Bierbower said she felt a flood of relief when she saw him wheeled down the hallway. The couple spoke to dozens of assembled members of the media during a news conference on Thursday afternoon. All things considered, it was good timing, considering Colorado Parks and Wildlife preceded the occasion by saying Kauffman is very lucky to be alive. “I’m now able to spend Valentine’s Day, Feb. 14, with my girlfriend Annie!” Kauffman said, adding that he was thinking they’d have macaroni and cheese for dinner. Kauffman is 5'10" and weighs about 150 pounds. He says he has "zero" martial arts or wrestling experience, save for doing the popular "Insanity" workouts on occasion. The environmental consultant is currently preparing for the Golden Gate Dirty 30 trail race, and said although the ordeal might have been a setback for his training, he’s been running since — and yes, he’ll still visit Lory State Park and Horsetooth Mountain Park, despite what happened to him. “I will be running with a buddy from now on,” Kauffman said. And as for the comparisons to Chuck Norris in the days after the attack? “Chuck would have come out without a scratch,” Kauffman said.